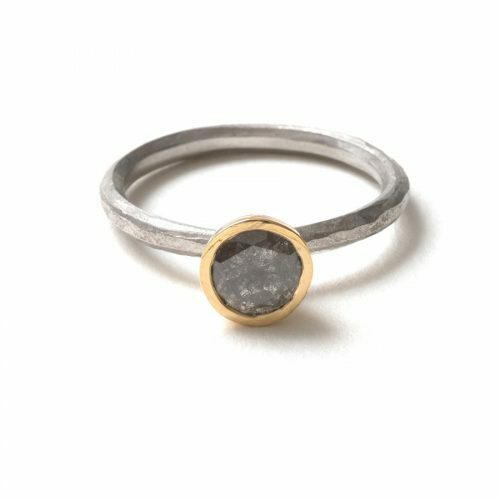 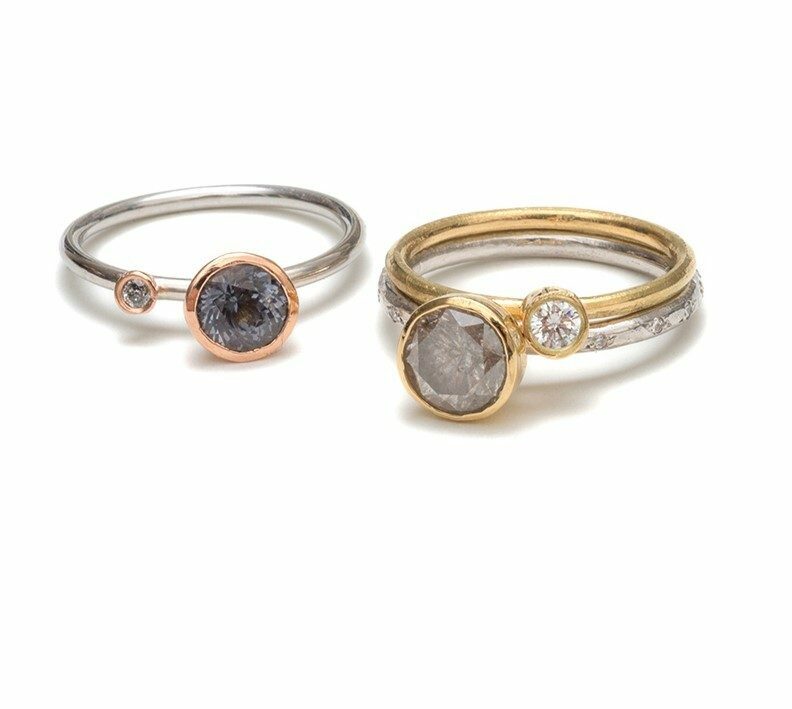 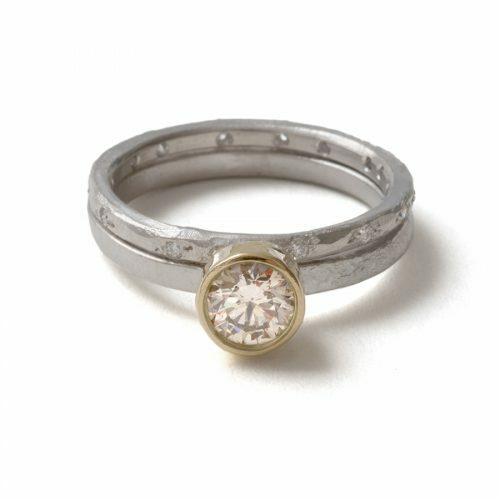 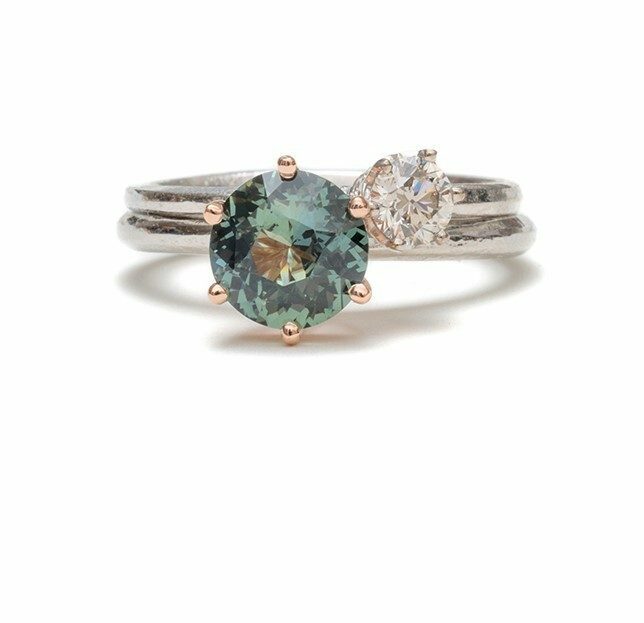 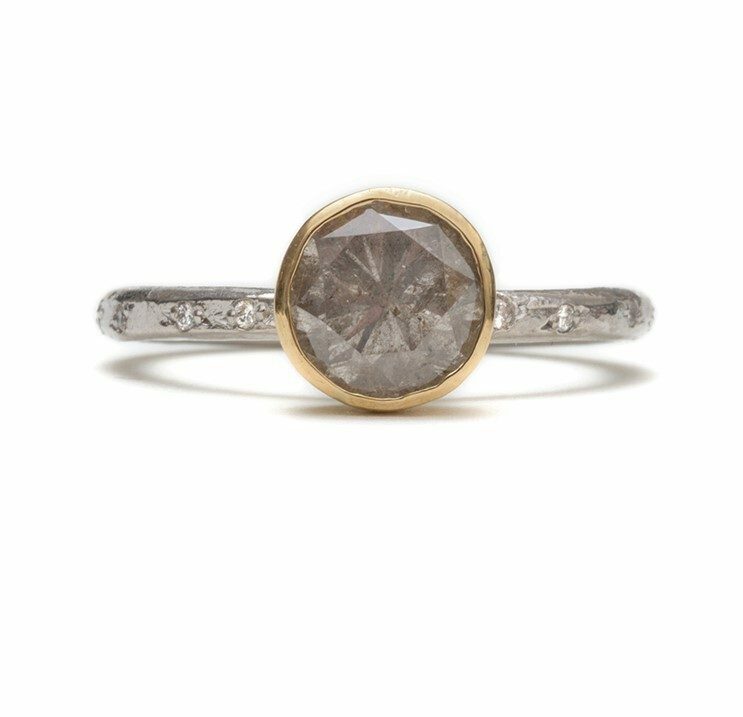 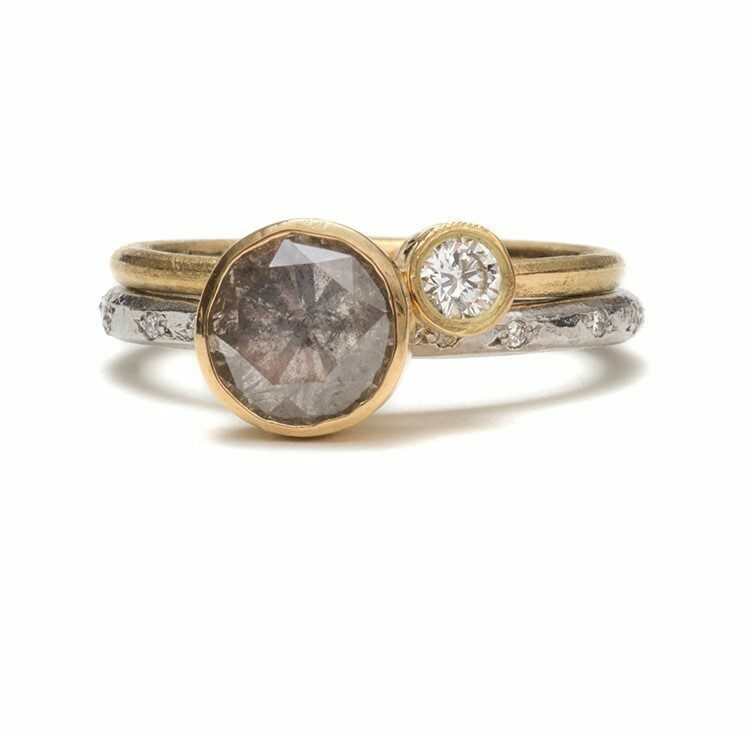 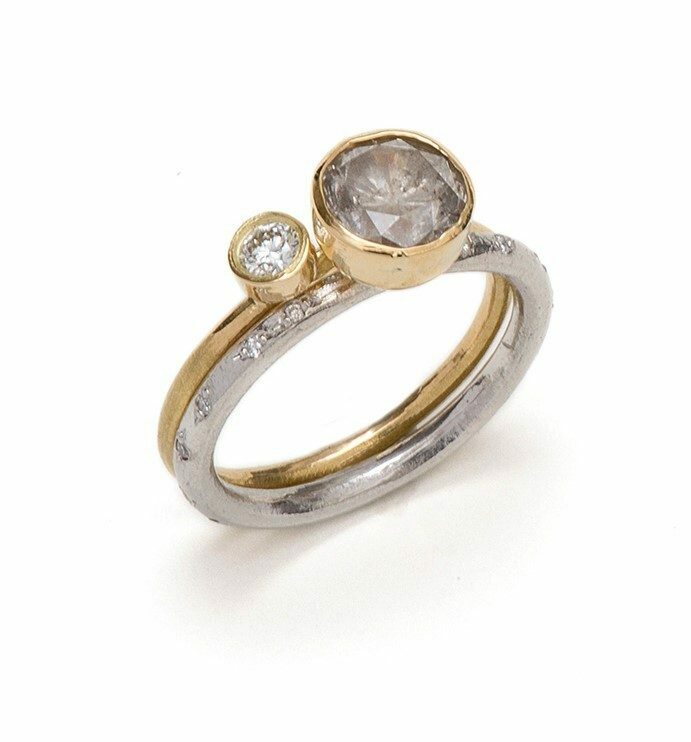 Stunning ring stack, reticulated and hand formed silver and 18ct gold bands, with round brilliant cut diamonds set in 18ct gold gum nuts. 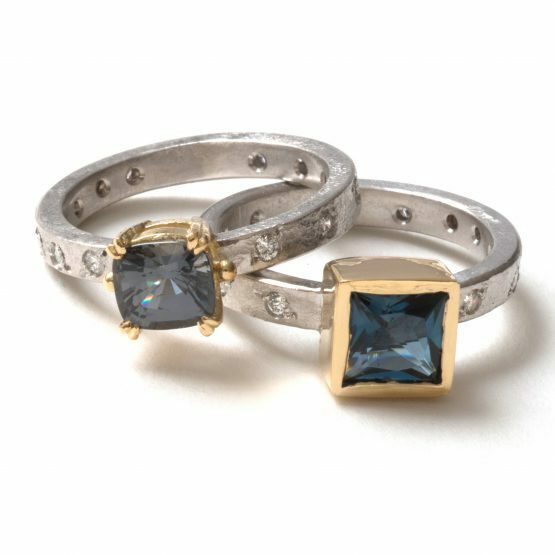 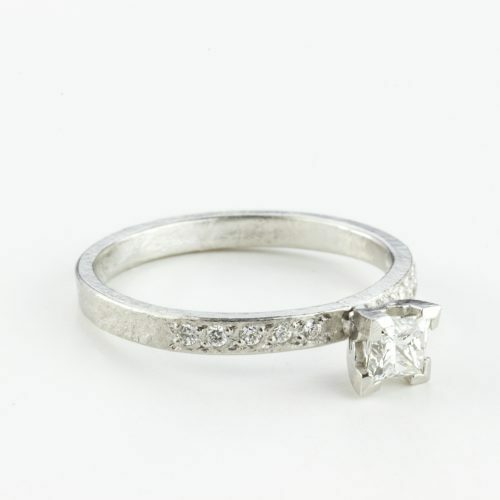 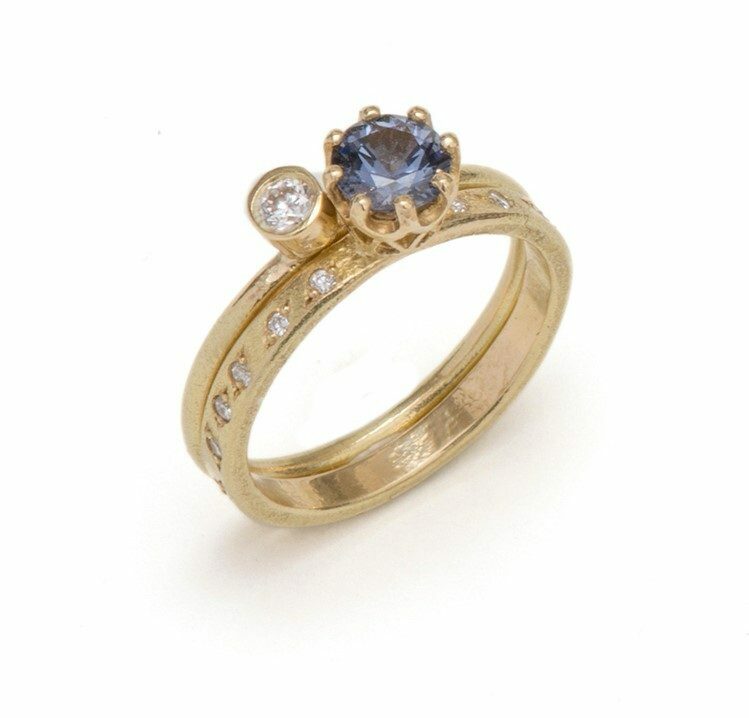 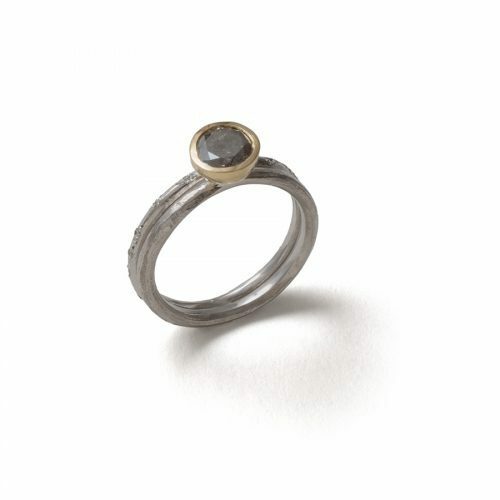 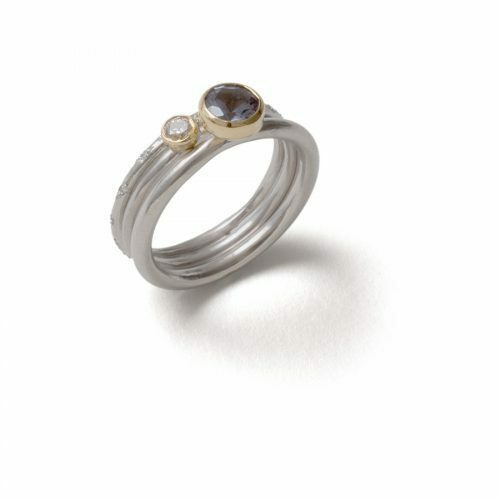 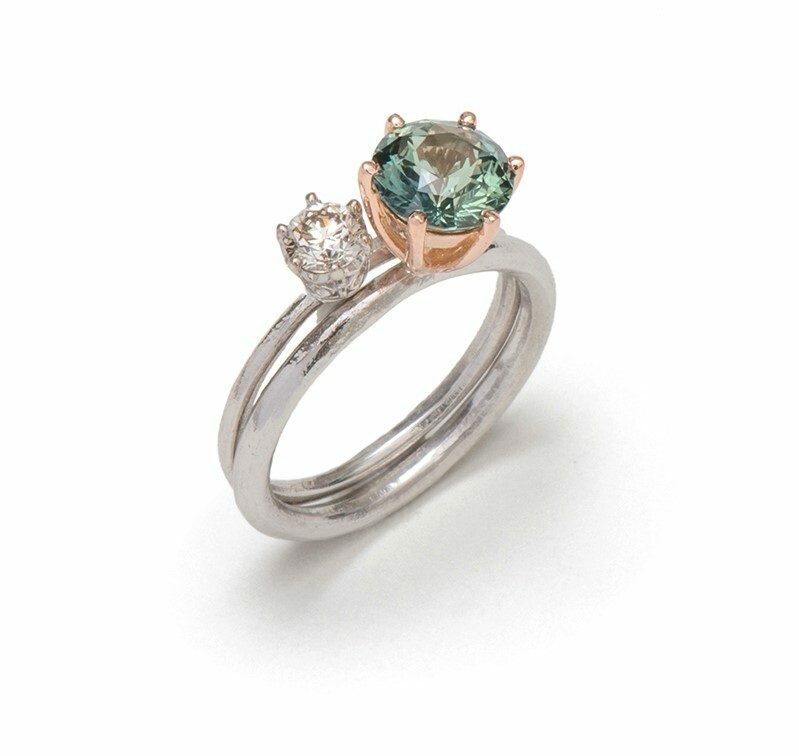 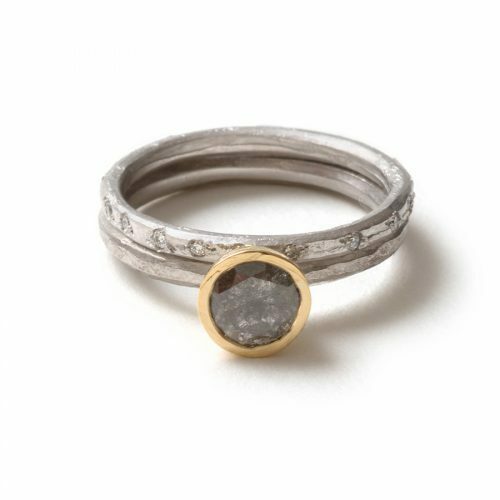 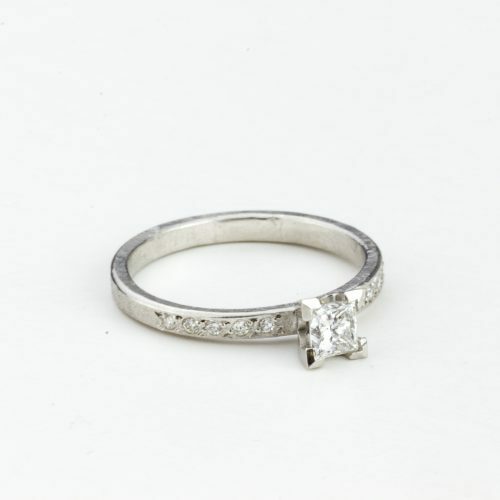 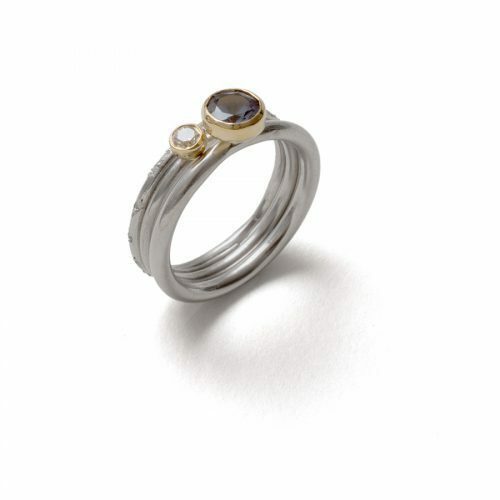 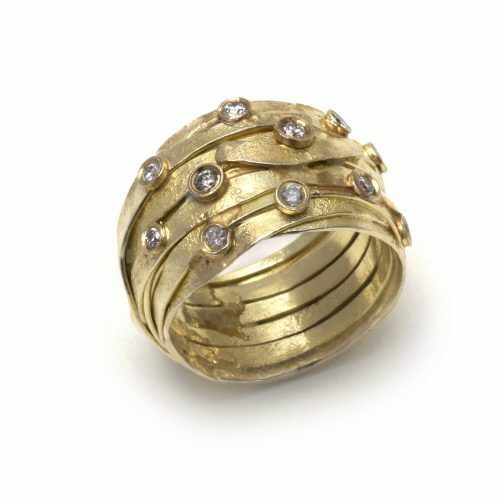 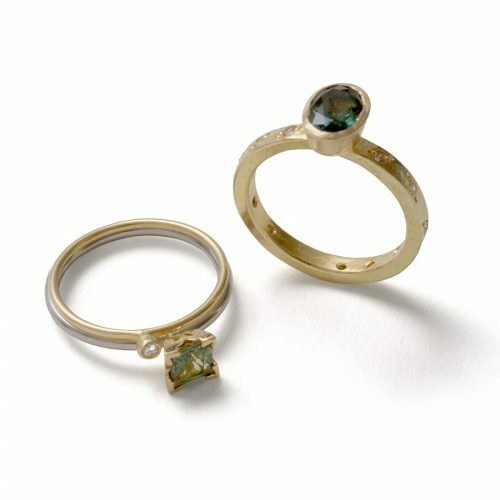 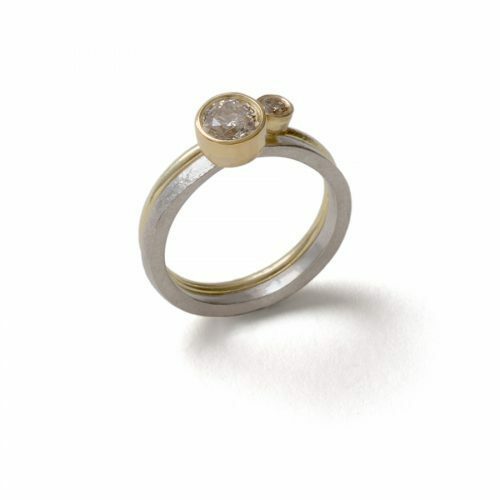 sterling silver and 18ct gold with 1.4ct of diamonds, stones are 3.75mm, 1.5mm shank, 4mm tall setting. 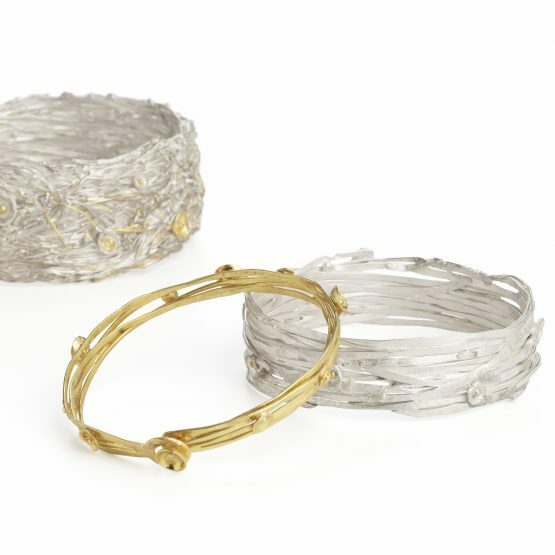 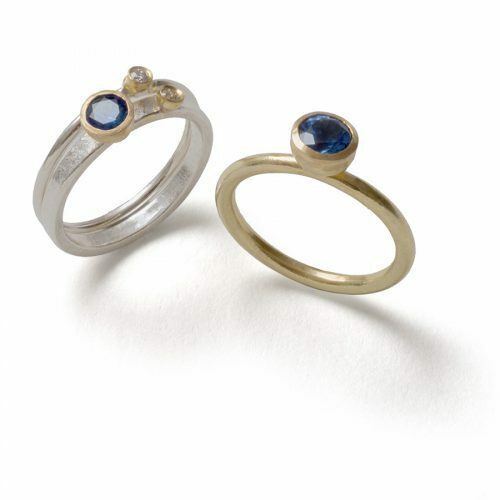 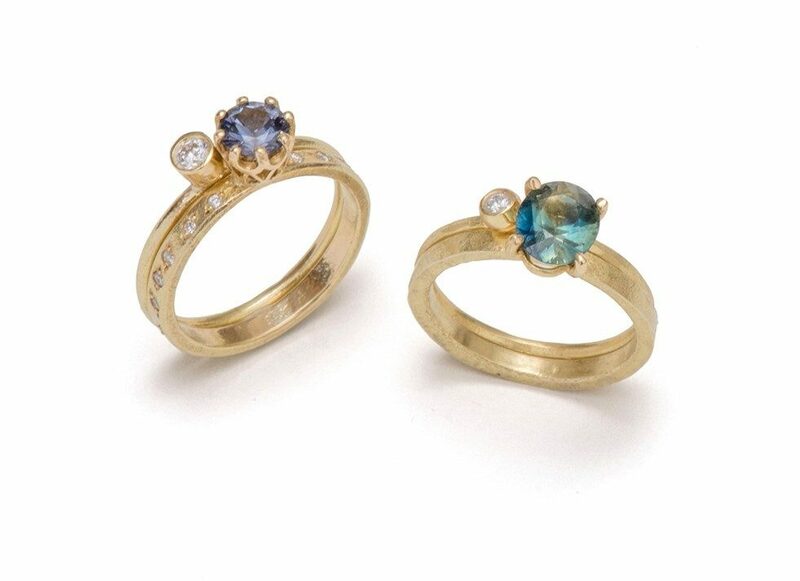 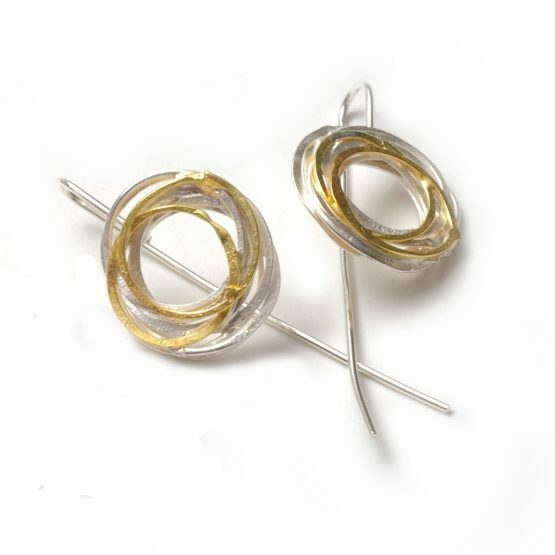 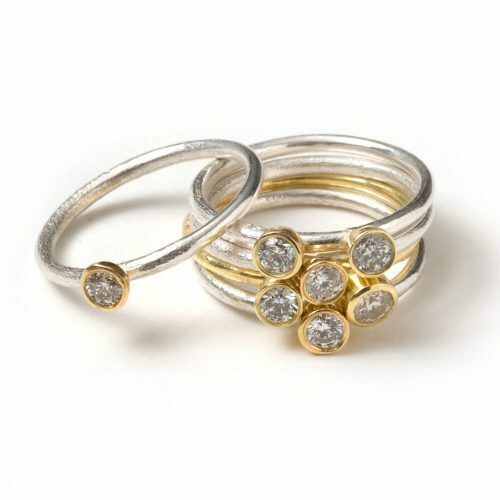 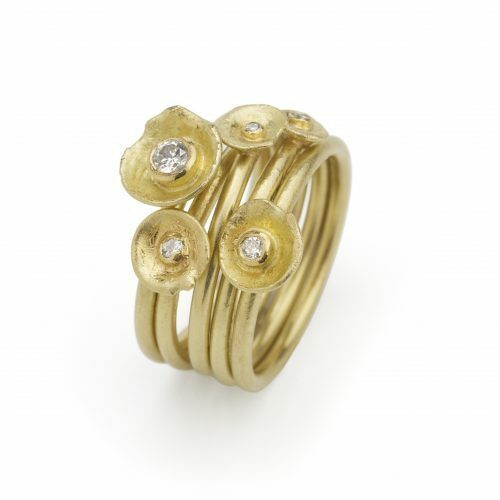 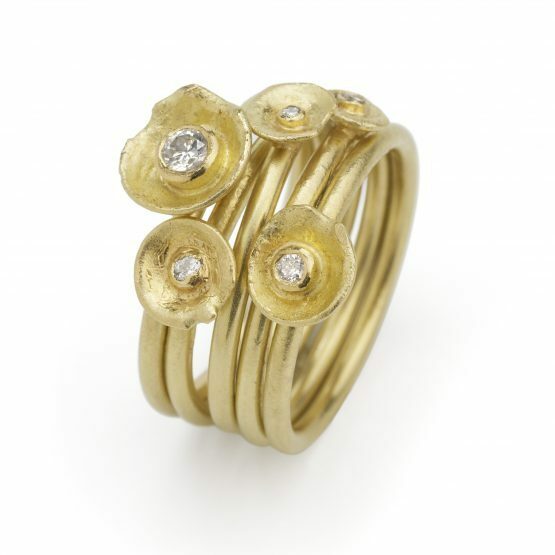 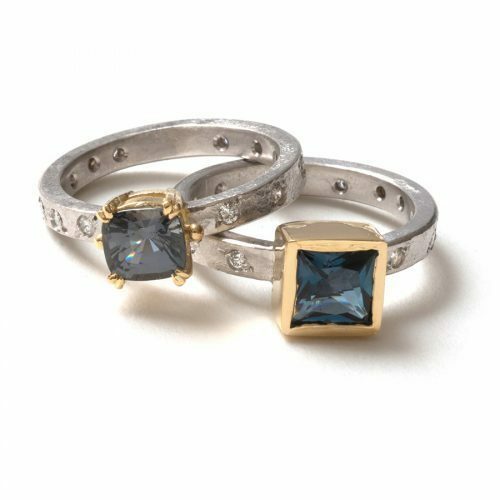 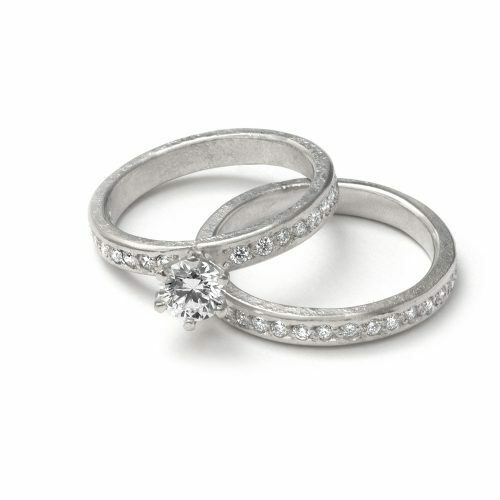 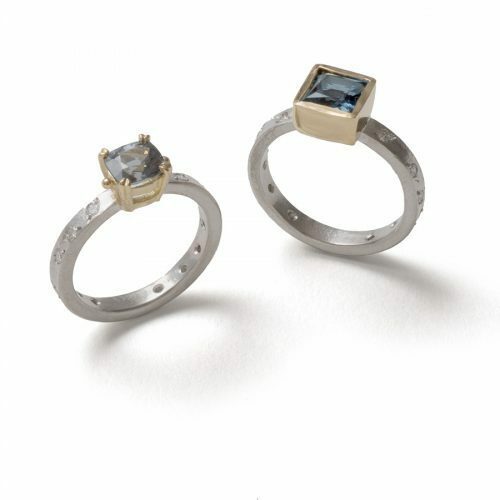 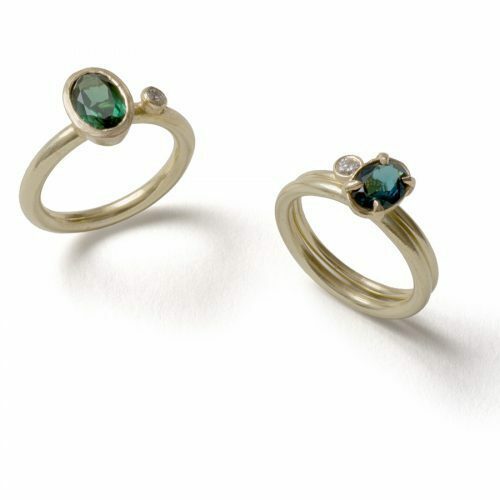 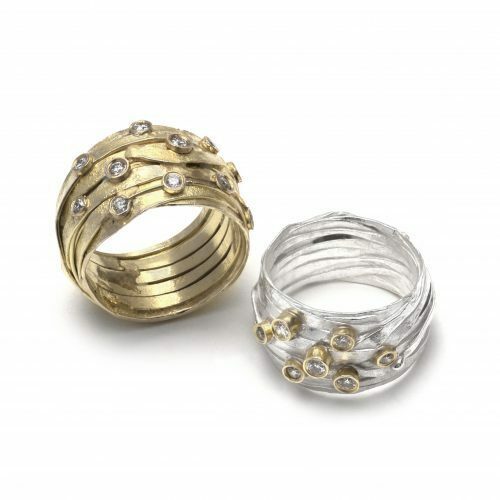 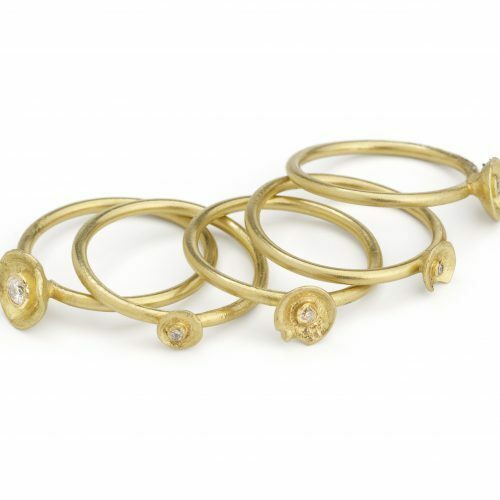 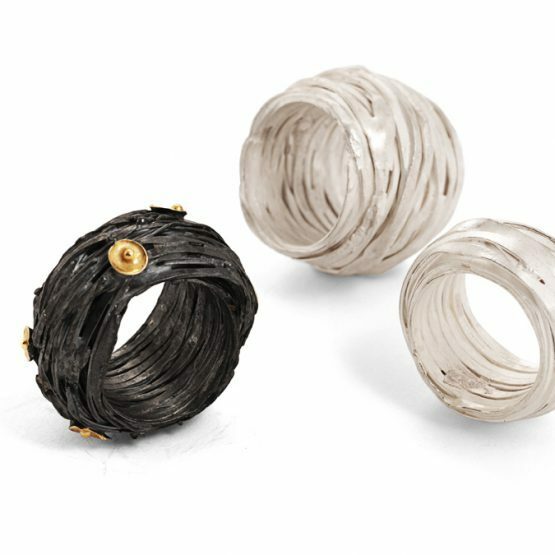 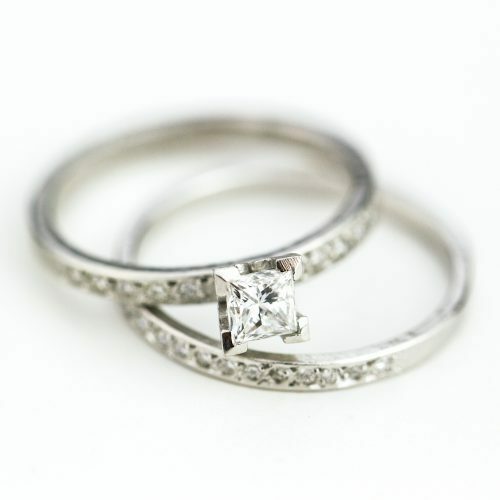 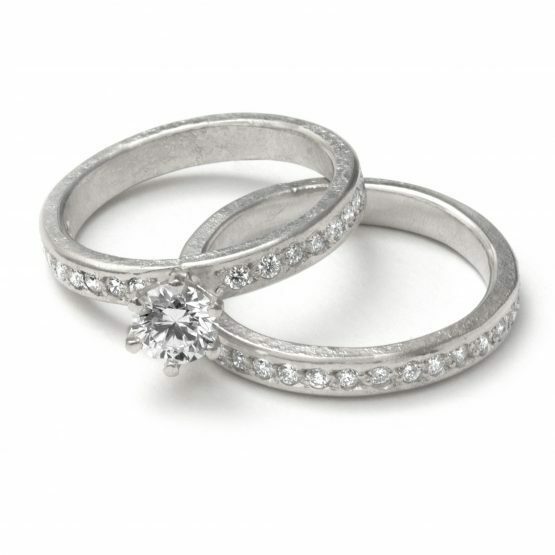 This beautiful set is created from textured and hand formed 18ct white and yellow gold. 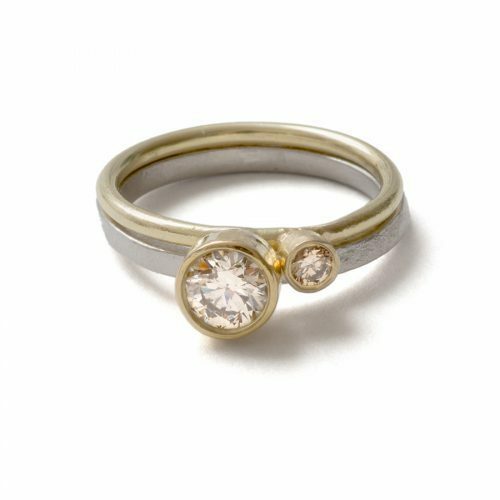 Two stunning round brilliant cut champagne diamonds, set in warm yellow gold collet settings to accentuate the cognac of the stones, the larger band is 18ct white gold for a beautiful contrast. 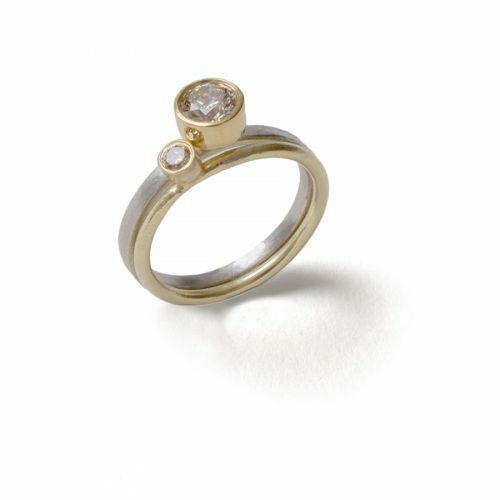 18ct gold white and yellow gold, 5.12mm and 2.9mm champagne diamonds, 0.615ct. 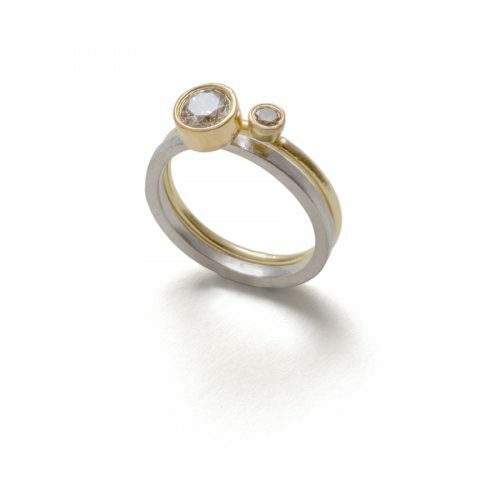 2mm 18ct white gold band and 1.5mm 18ct yellow gold band, 6mm and 3.5mm settings. 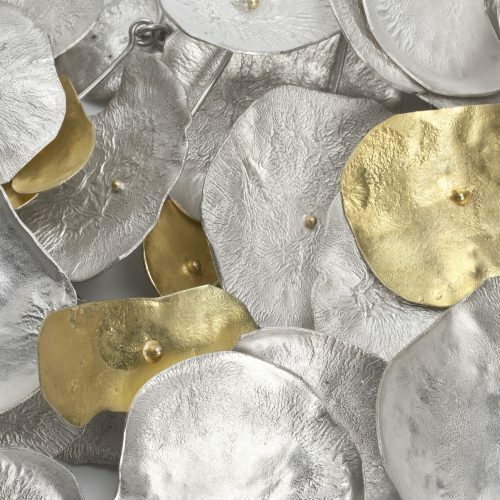 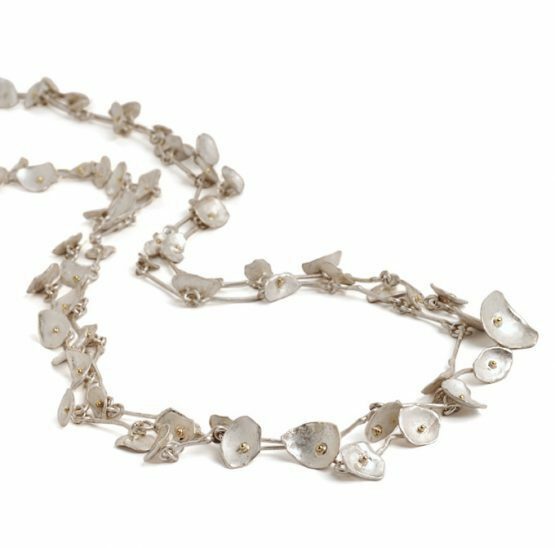 Reticulated and formed, whitened leaves of silver and gold, each with an 18ct gold beads in it’s center, assembled into a magnificent neck piece, a stunning statement piece. 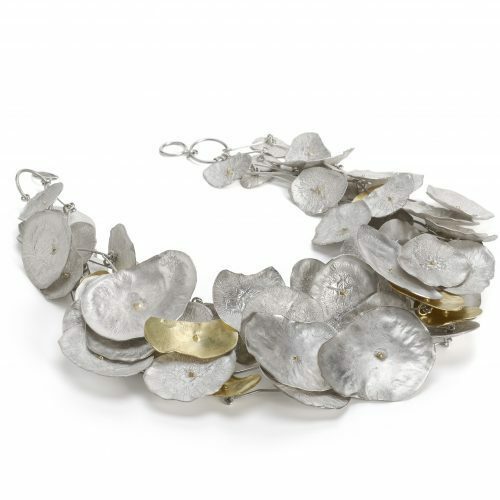 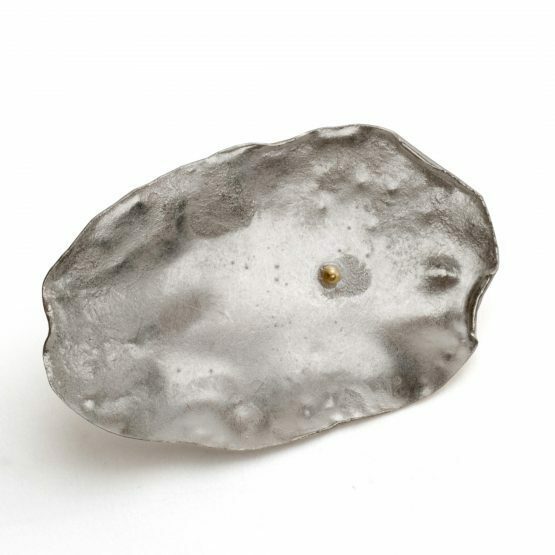 sterling silver and 18ct gold, 65cm long. 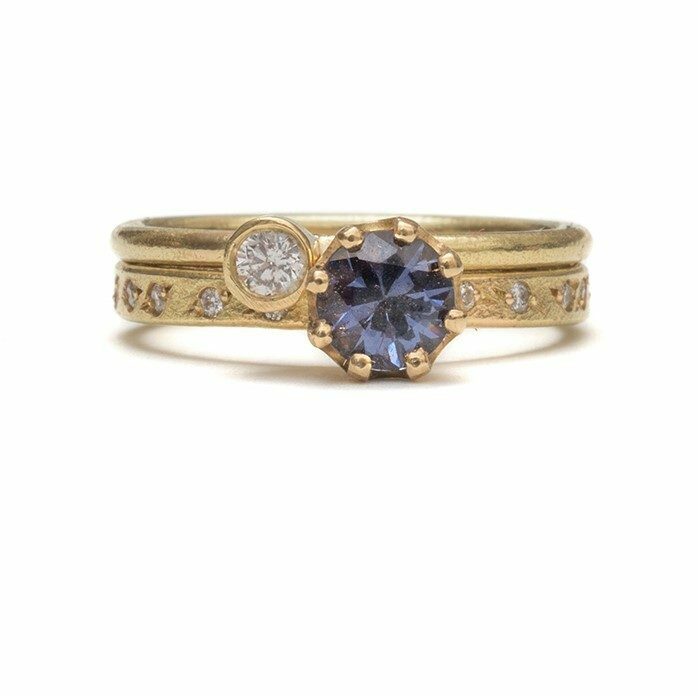 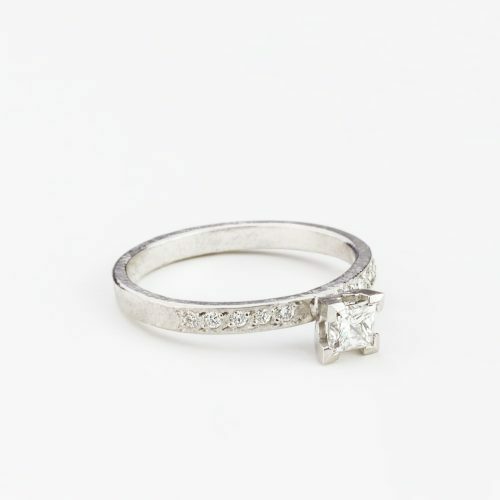 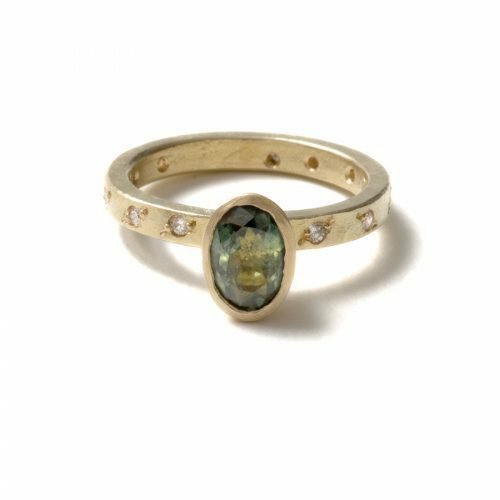 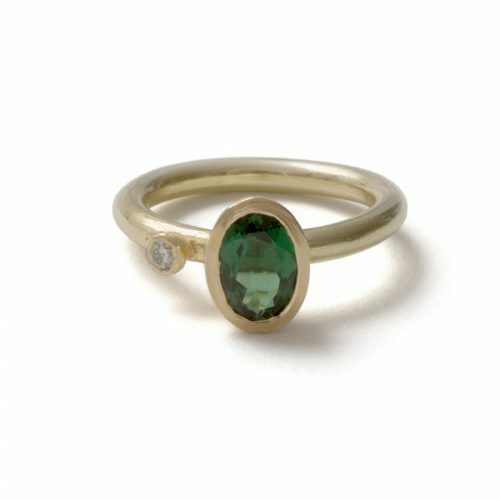 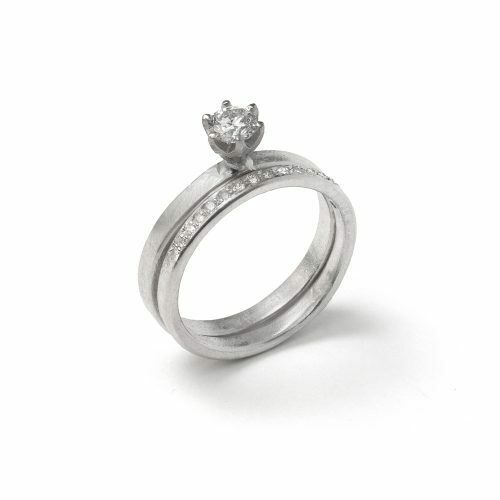 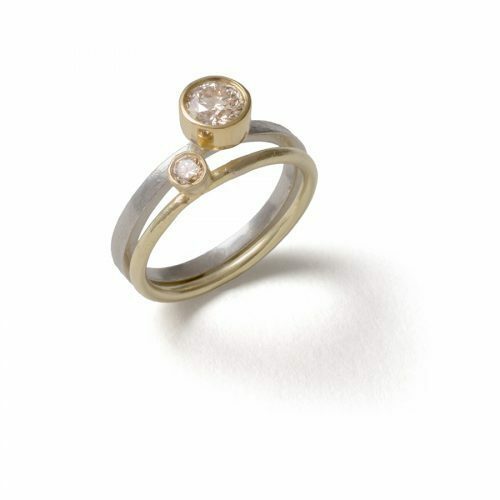 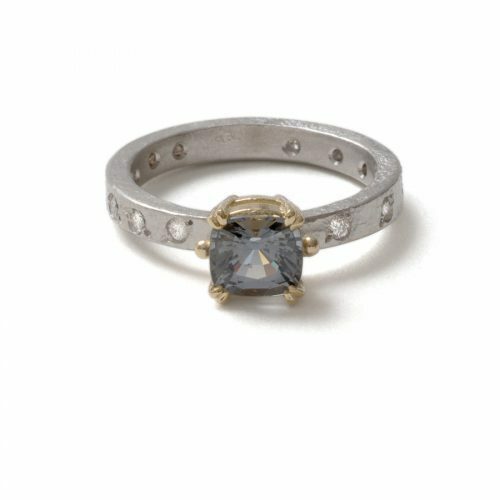 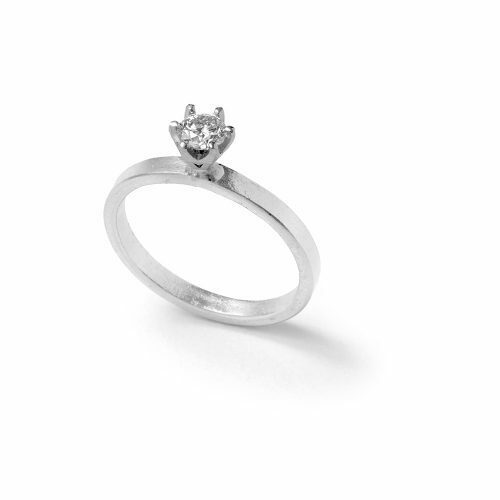 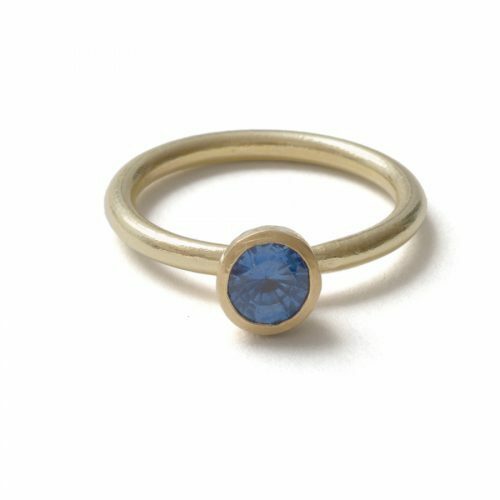 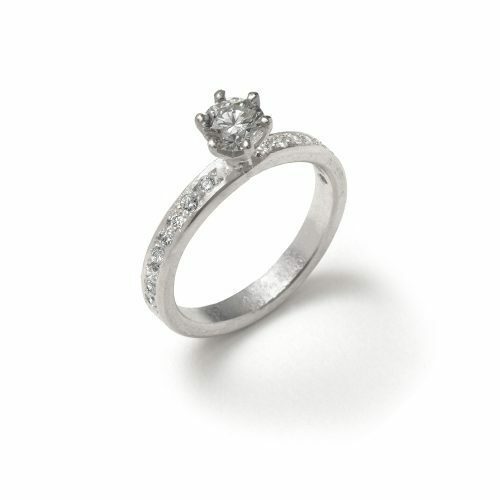 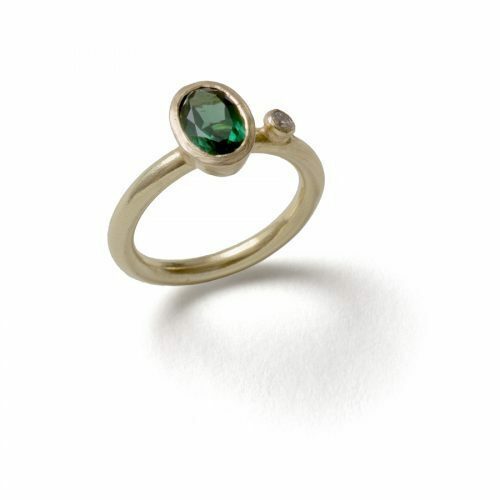 An elegant and simple solitaire ring, hand formed 18ct gold, claw set with a round brilliant cut diamond.